BOGO Items ring up half price – you only have to get one to get the sale price. 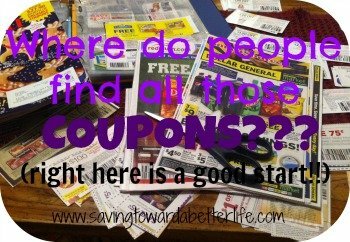 These matchups reflect double coupons up to $.50 – not all areas double coupons. Publix has digital coupons available. They are manufacturer coupons, limit of one and do not double – even if your store allows doubling. Be sure to pick up the Publix coupon flyers in-store for more savings. Sale prices below run from Wednesday to Tuesday (1/31 to 2/6) OR Thursday to Wednesday (2/1 to 2/7) depending on your region.